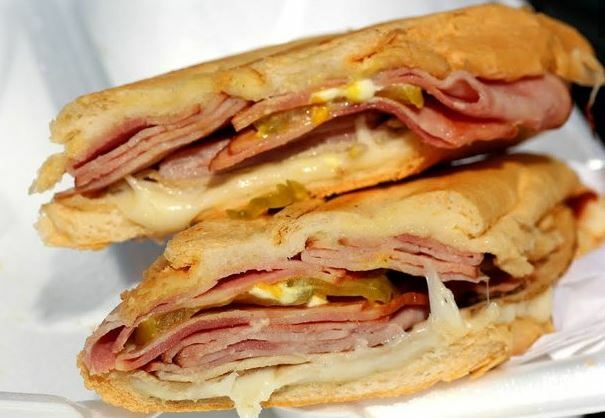 If you are from Miami or a few of the other Cuban neighborhoods throughout the country, then you are most definitely familiar with the very famous “Cuban Sandwich”. Being Cuban-American, having grown up in a very Cuban area of NJ, and living in Miami for over 25 years, I have definitely had a “few” Cuban sandwiches in my life. But as with most things, not all Cuban sandwiches are created equal. 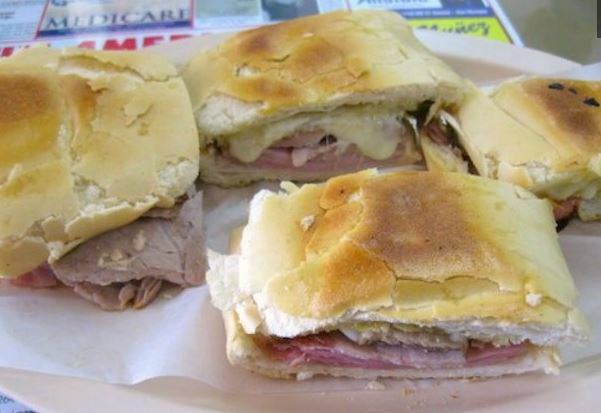 Here in Miami, you can find Cuban sandwiches almost everywhere, but beware, there are big differences between the pre-made bargain sandwiches found at many lunch counters and coffee windows, and the delicious fresh made to order ones found at restaurants and cafes. 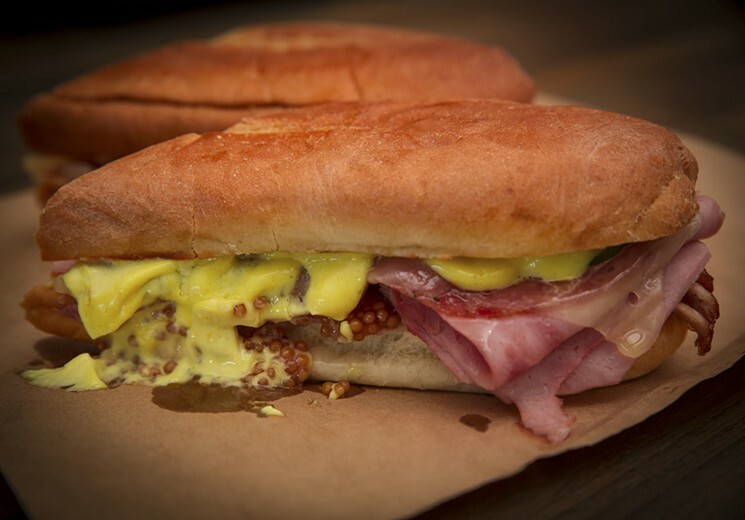 You know this has to be a good pick when it’s the #1 place chosen by Zagat in Miami for Cuban sandwiches. 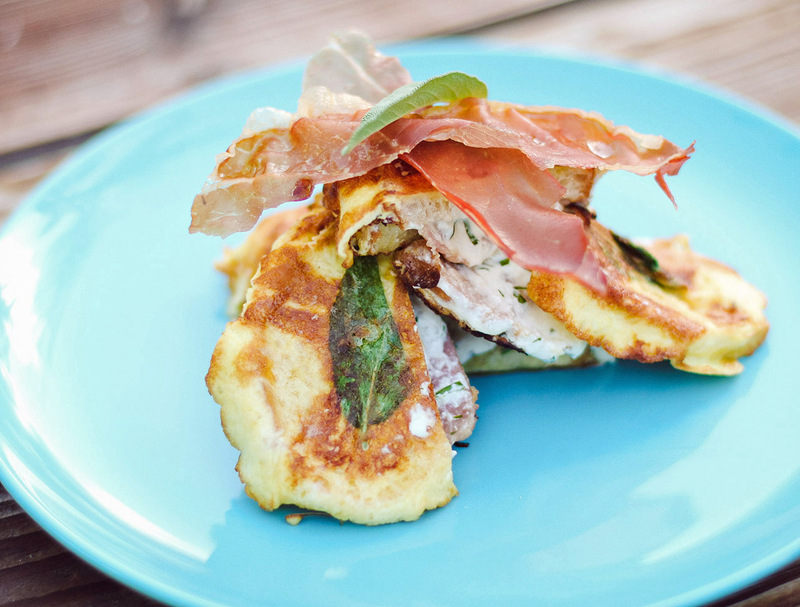 This little hole-in-the-wall, located in the Wynwood area, is a local favorite. 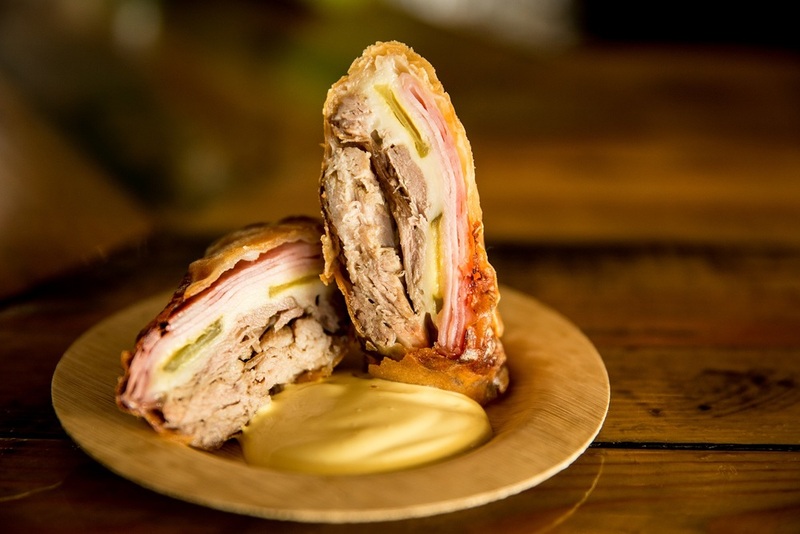 And if you’re looking for something really special, try the Cubano Preparado Con Croquetas, basically a version of their Cuban, stuffed with their yummy ham croquetas. This is probably my current favorite. Owned by Alberto Cabrera, (whom I have blogged about before, with his amazingly delicious restaurant, Bread & Butter), at Little Bread, fresh-baked baguettes with a good crust get transformed into a Cubano with pork belly rillette, ham, salami, house pickles and red wine mustard. 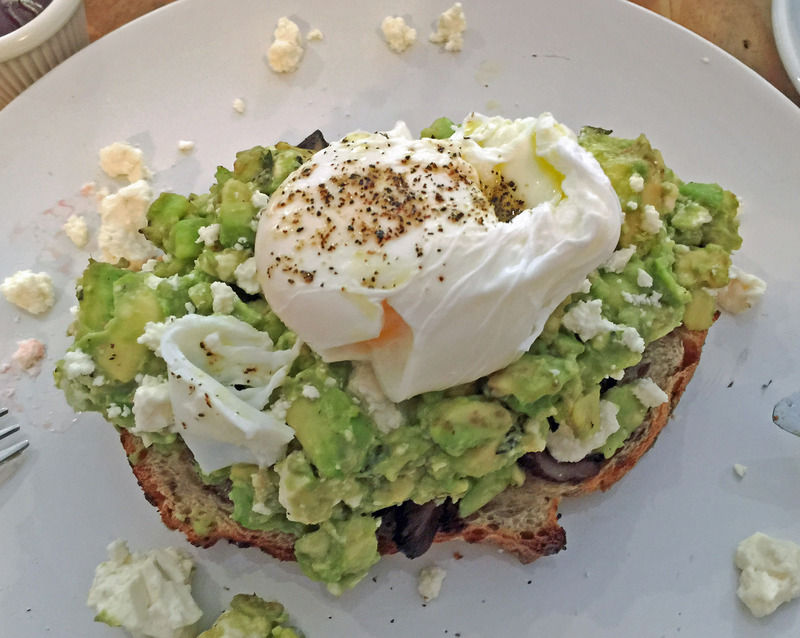 The restaurant’s culinary director, Richard Torres, explains that the secret is in the homemade bread that the restaurant uses and “not pressing the sandwich twice” like many places do. 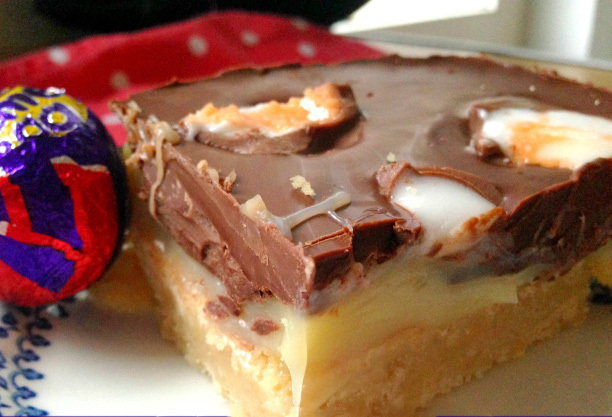 The result, in my opinion, delicious! You know you’ve made it when Anthony Bourdain instagrams your sandwich (in this case another version of the Cuban, called Media Noche) with the hashtag #miami. 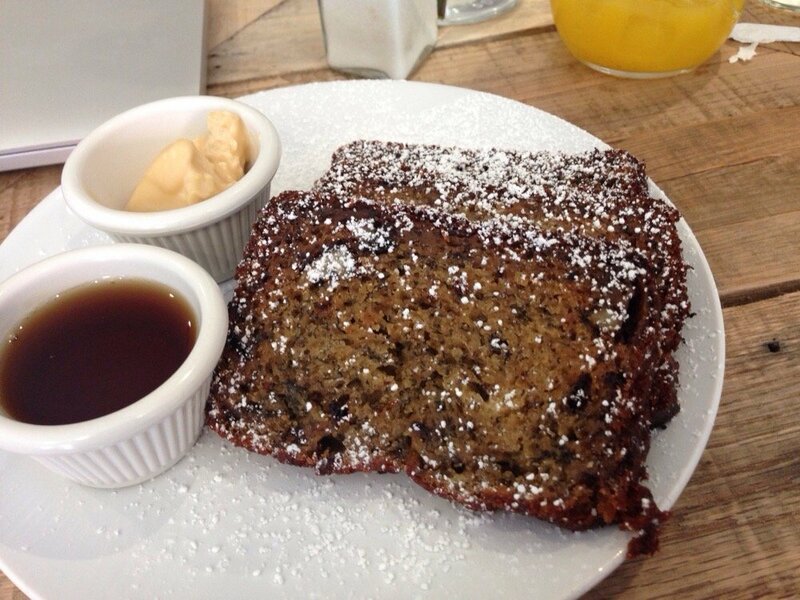 The secret to their sandwiches is simple….they bake their bread fresh every day in their bakery. 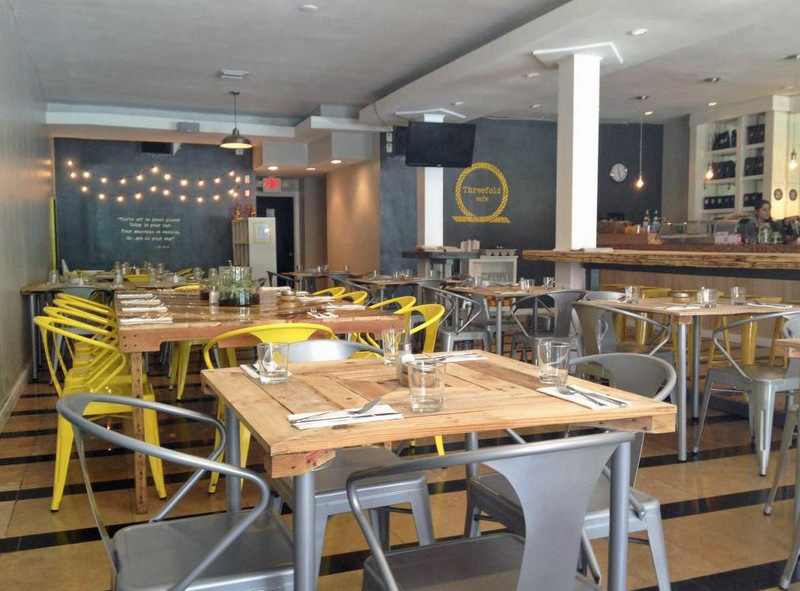 Luis Galindo’s Latin American Cafeteria & Restaurant, named for the brother of Cuban sandwich patron Raúl Galindo, is owned by Elias G. Elias, a Lebanese-Syrian man raised in Cuba. 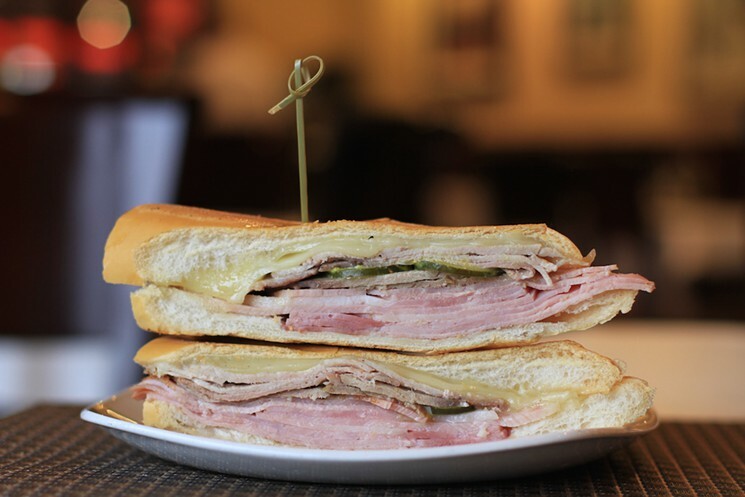 It makes one of the city’s best Cubanos. The perfect press crisps the bread’s crust, slightly warms the interior, and compresses the whole thing without flattening it into a cracker. This place has been around forever, I remember eating Cuban sandwiches here, when I used to vacation in Miami as a young girl, before I even lived in Miami! So, I have not actually eaten here…yet! But a few friends have highly recommended this restaurant, and because their version of the Cuban is so original, I just had to include it on my list. 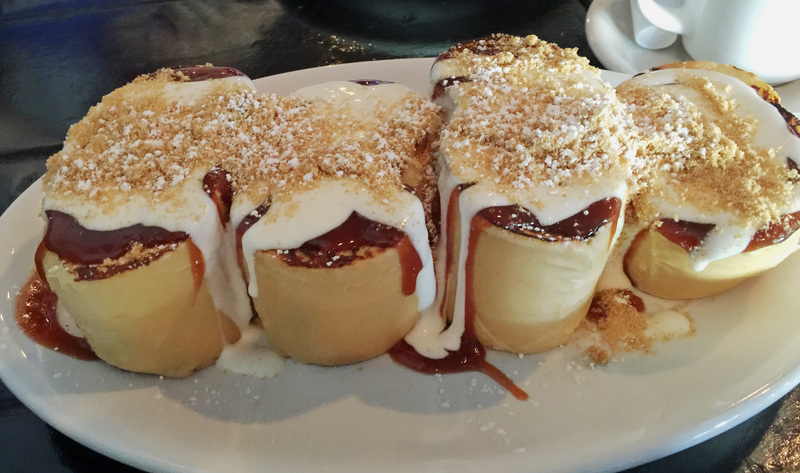 Ball & Chain serves Cuban Spring Rolls…a twist on the obvious sandwich. 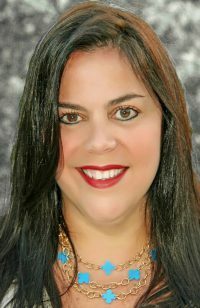 They claim that being located on famous Calle Ocho (SW 8th Street), where there are numerous restaurants serving the traditional Cuban sandwich, they were needed to come up with something that would make their sandwich stand out among the rest. The result…roasted pork, ham, and pickles wrapped in a spring roll with Swiss cheese, served alongside faintly spiced mustard aioli, perfect for dipping. 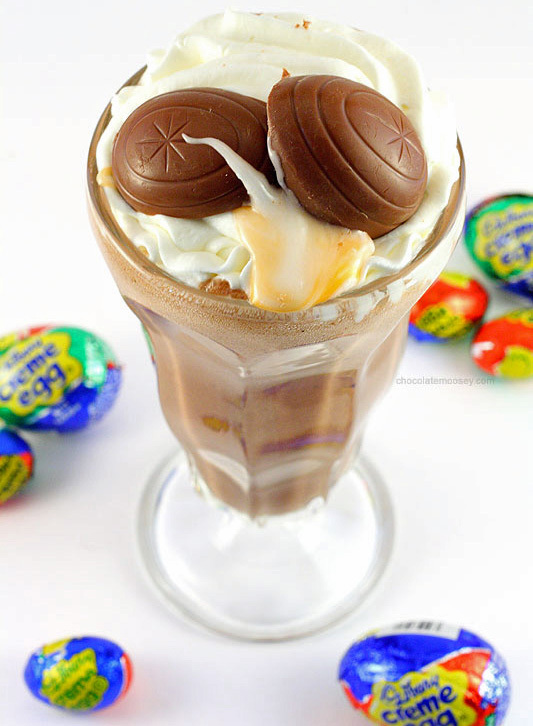 I must try this one soon! 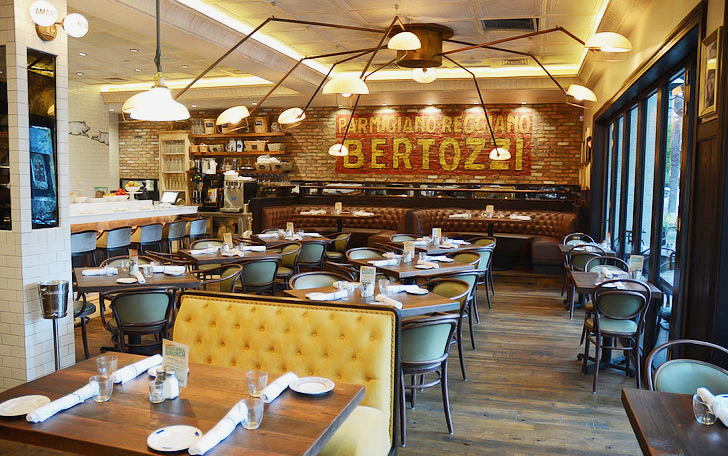 With so many dining options in South Florida, sometimes it’s hard to choose a place for dinner. Over the 4th of July weekend, we decided to spend the evening on Las Olas Boulevard in downtown Ft. Lauderdale. We hadn’t been in a while and I wanted to see what new shops and eateries had opened up since our last visit, and then head over to the beach to watch the fireworks. 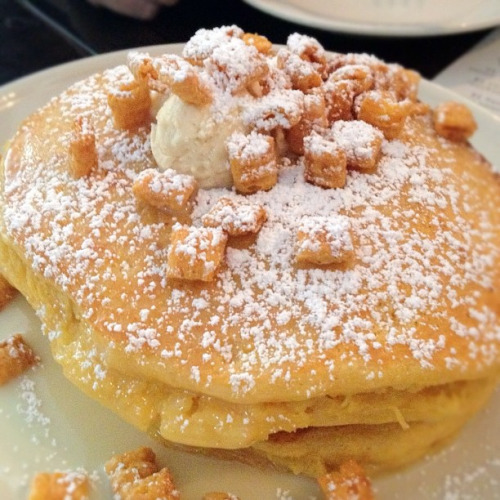 I was surprised to still see some our favorite restaurants and delighted to discover some new ones. 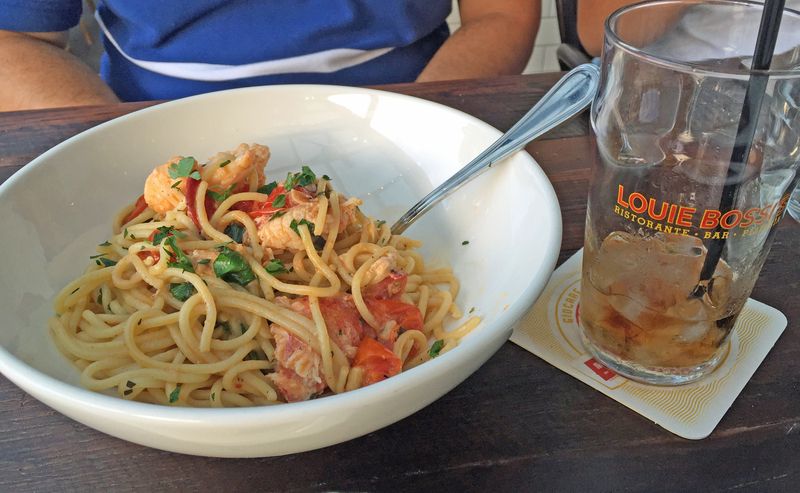 Our daughter was craving her usual Italian food, so when we stumbled upon Louie Bossi’s, we decided to give it a try. I had not heard of it (they only opened up about a month ago), so I was a bit hesitant, after all, Italian places are always popping up everywhere, but many of them are mediocre at best. Well this place is anything but mediocre. 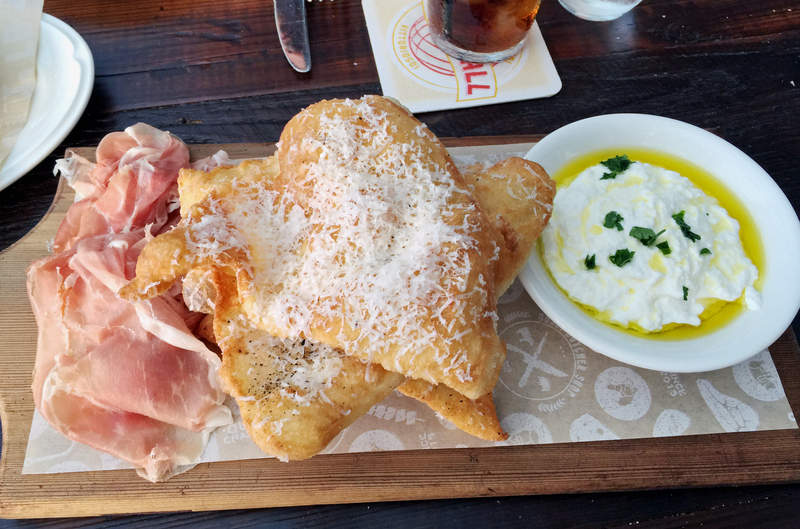 We started off with a delicious appetizer called Coccoli Fritto, which were basically these delightfully soft baked flaky pita breads topped with fresh parmesan shavings and served with freshly made ricotta cheese, olive oil and prosciutto. 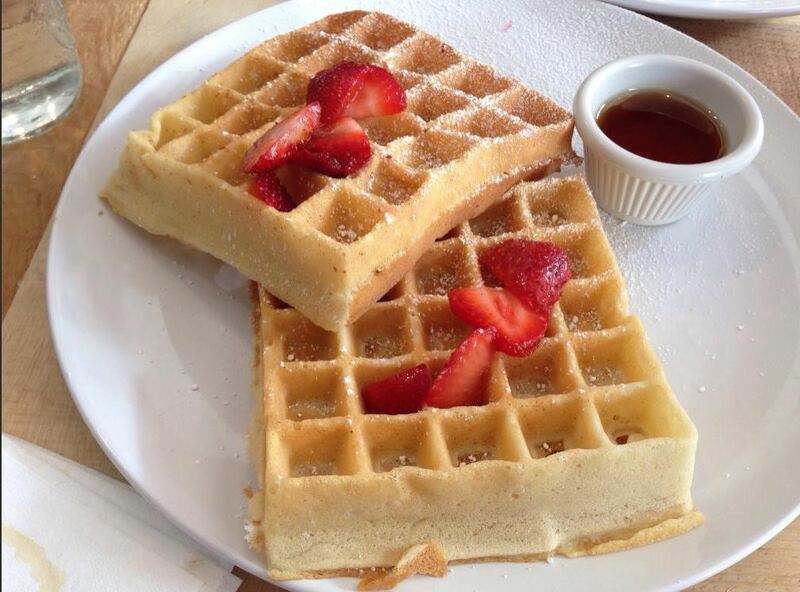 Heavenly!! 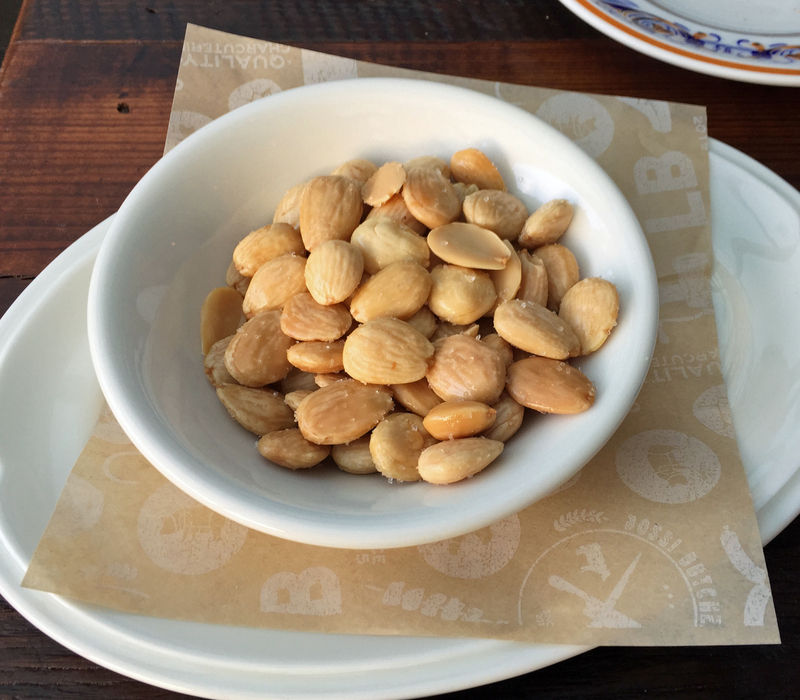 Hubby also ordered a small side of Marcona Almonds roasted with sea salt. 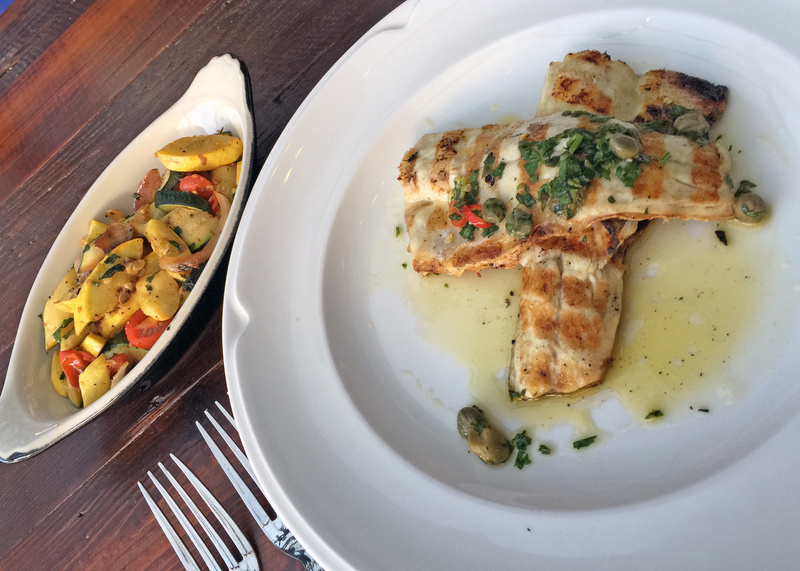 On to the main courses….I really wanted to try one of the pastas, but keeping faithful to my healthy eating habits of late, I decided on one of the daily specials..a grilled branzino prepared with olive oil, lemon and capers and I ordered a side of their grilled veggies. This was one of the best fish dishes I have ever tasted. Hubby decided on another one of the specials, lobster served with pasta. Also delish! 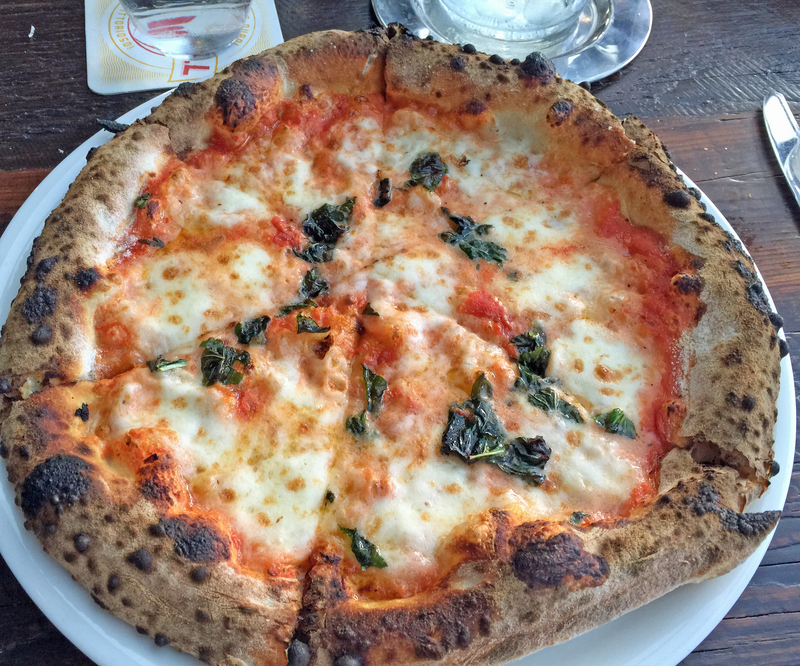 And of course our daughter being her adventurous self (not), ordered a margherita pizza, but she says it’s also one of the best she’s had. And trust me, she’s beyond picky. 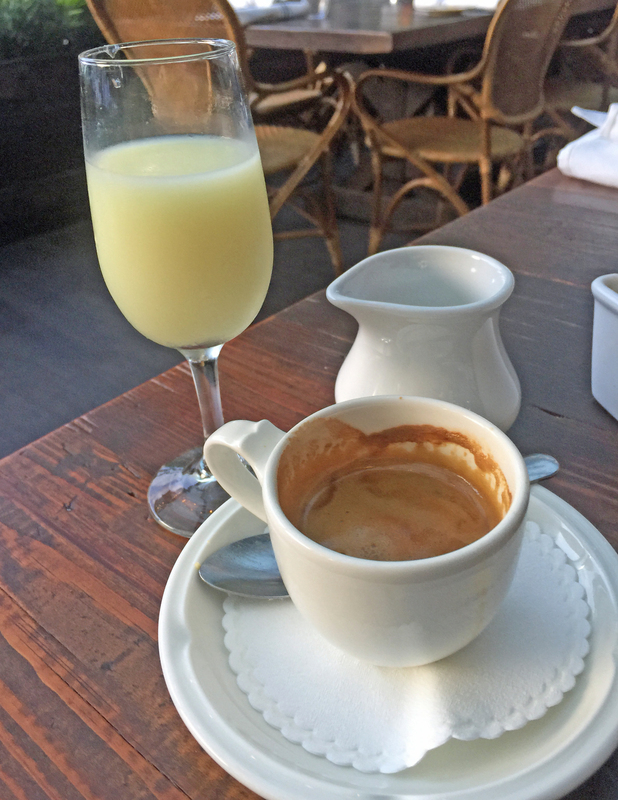 And last but not least, hubby ordered his espresso and I had a creamy limoncello. All I can say is that it tasted better than some of the limoncellos I’ve had in Italy! 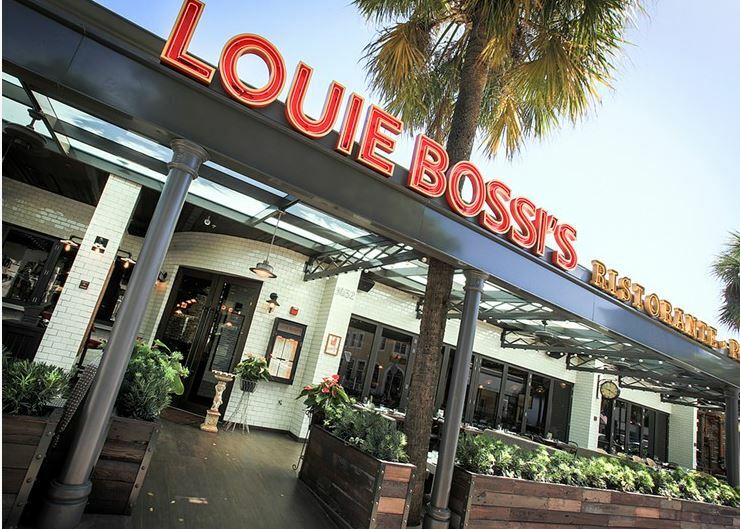 So, if you’re in the Ft. Lauderdale area, head on over to beautiful Las Olas Boulevard and make sure you stop into Louise Bossi’s and experience an amazing Italian feast. You will not regret it. 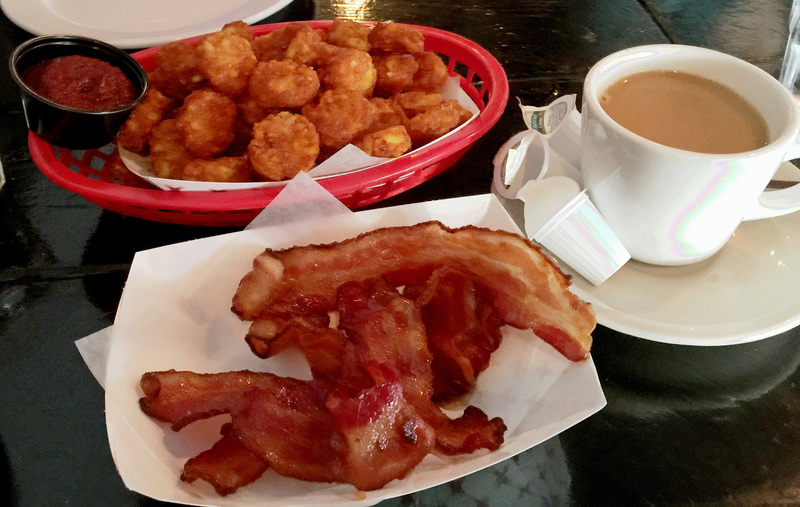 To round things out, my daughter ordered some BK hash browns served with housemade roasted ketchup and candied applewood smoked bacon cooked with brown sugar. Both were delicious too! 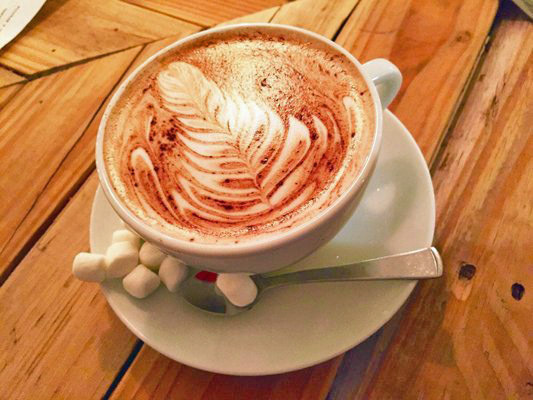 They serve many other items on their brunch menu, and of course make sure to check out their lunch and dinner menus as well. 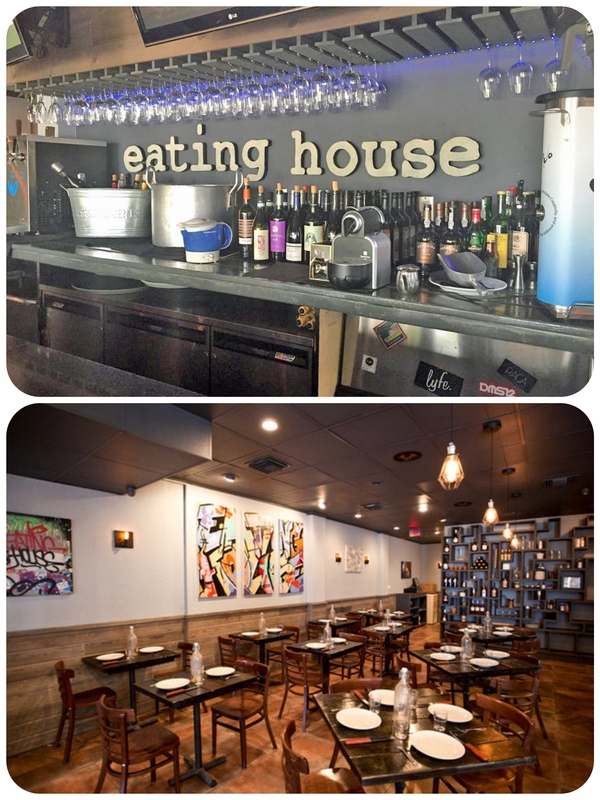 So if you’re in the Miami area and you’re looking for a truly delectable dining experience, I recommend you give Eating House a try. I’m ready to go back for dinner soon. Have you eaten at this wonderful place? If so, I’d love to hear what you liked best! The cupcake craze in the past few years has exploded, and in my family we have a bit of OCD (Obsessive Cupcake Disorder). 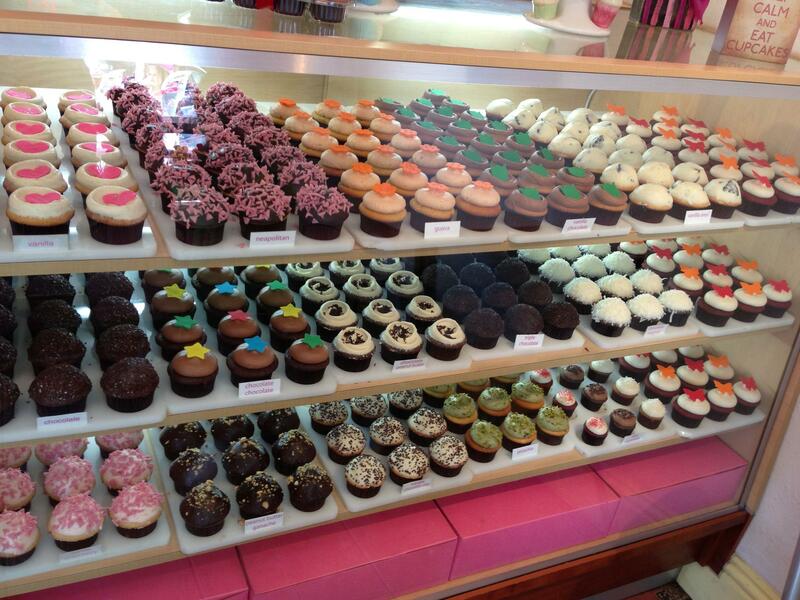 It doesn’t help that almost everywhere you look, there’s a new cupcake shop opening up. Here in Miami, we have quite a few, but to me there is nothing as delicious as the cupcakes found at Buttercream Cupcakes & Coffee. 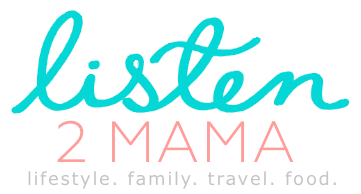 I’ve mentioned them before in some of my other blog posts, but today I am dedicating an entire post just to them. 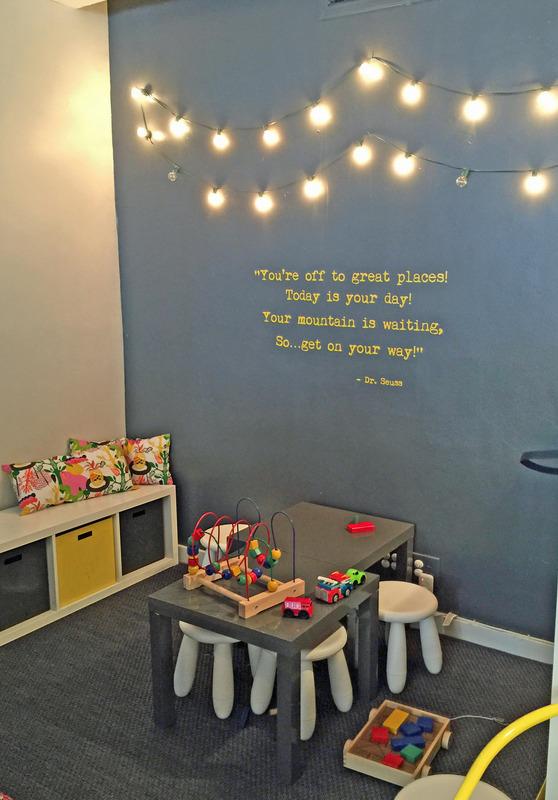 The tiny shop, owned by wife and husband team Kristine Graulich and Jose Cuellar, situated on the residential side of Sunset Drive, is small but cozy. There’s a little table inside if you’d like to escape the heat and humidity, and also a few tables set up outside. 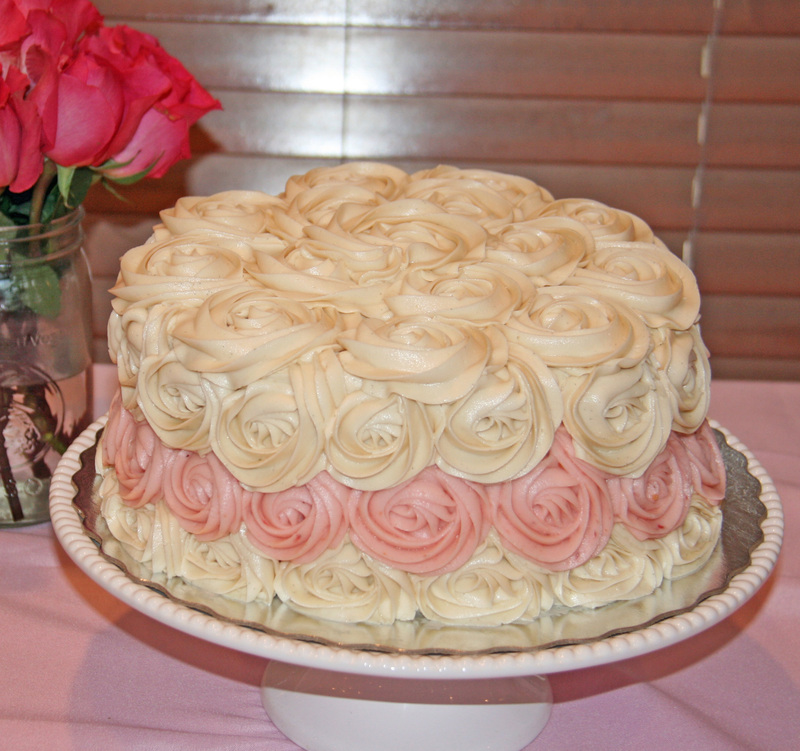 We love the aroma of warm cupcakes, the moment you open the front door. And then it hits you…which one should I choose? 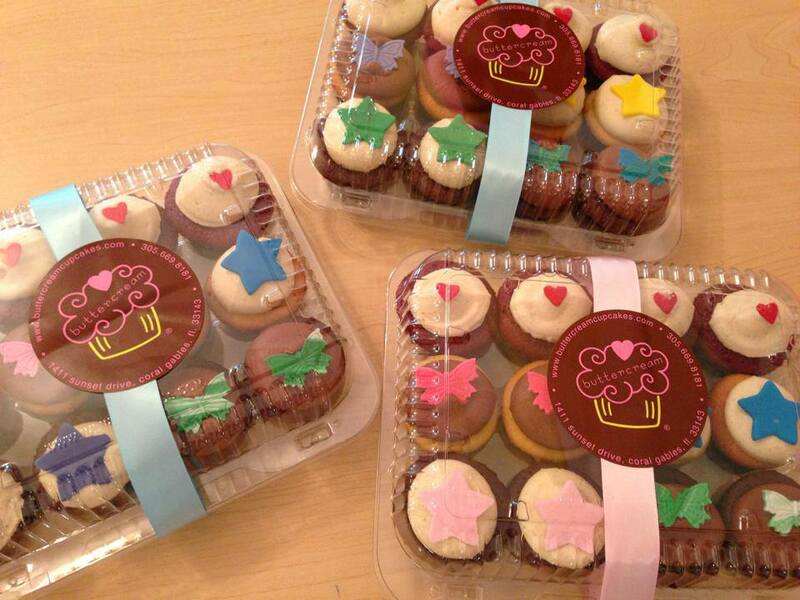 But if you can’t decide, they offer a sampler box of mini cupcakes comprised of their most popular flavors. 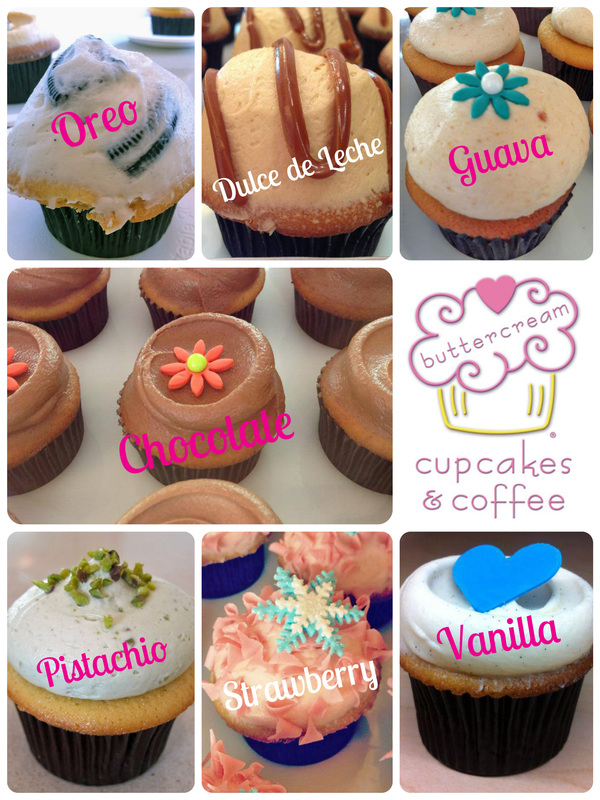 So the next time you find yourself in Coral Gables, make sure you stop in and try one of these heavenly cupcakes, you won’t regret it! 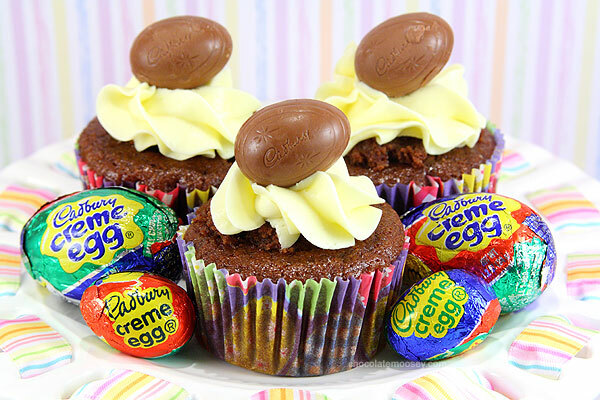 Have you tried Buttercream cupcakes? If you have, I’d love to hear which one is your favorite? Galaktoboureko This has to be my favorite Greek dessert (yes, let’s start with the desserts, why not), and it’s actually not very easy to find. 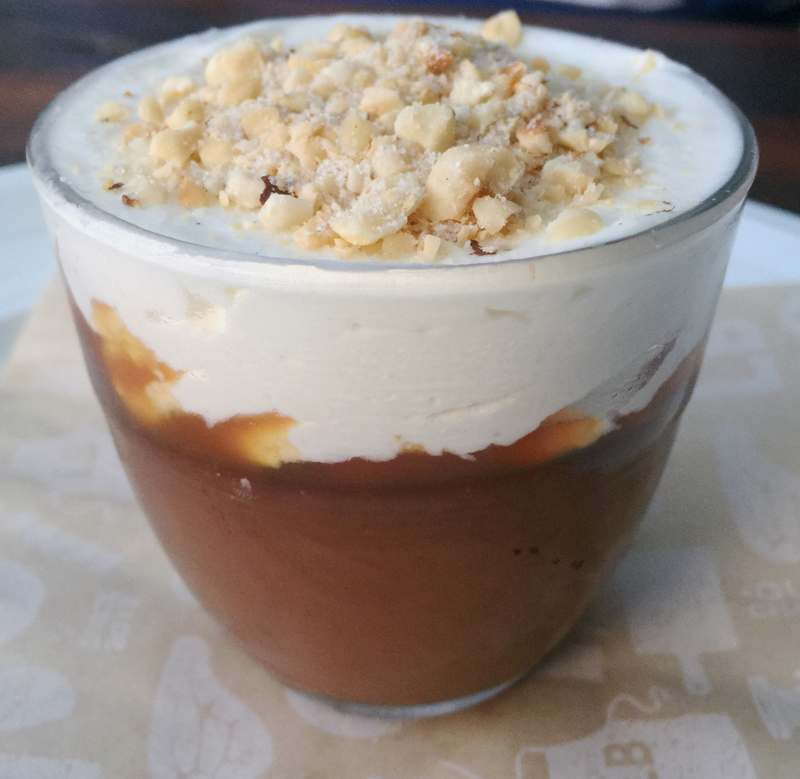 Everytime I’m in Greece I specifically browse the menus of most recommended places, and I have only come across this heavenly treat in a small cafe in Oia. 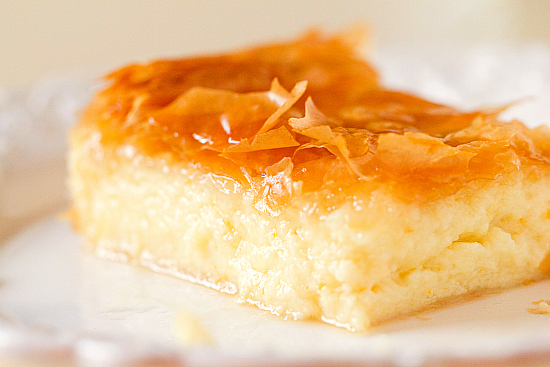 Galaktoboureko, is a divine combination of creamy custard and flaky phyllo dough that is baked to golden perfection then drenched with a lemon and orange infused syrup. I used to work with a Greek friend who told me her mother makes it from scratch. 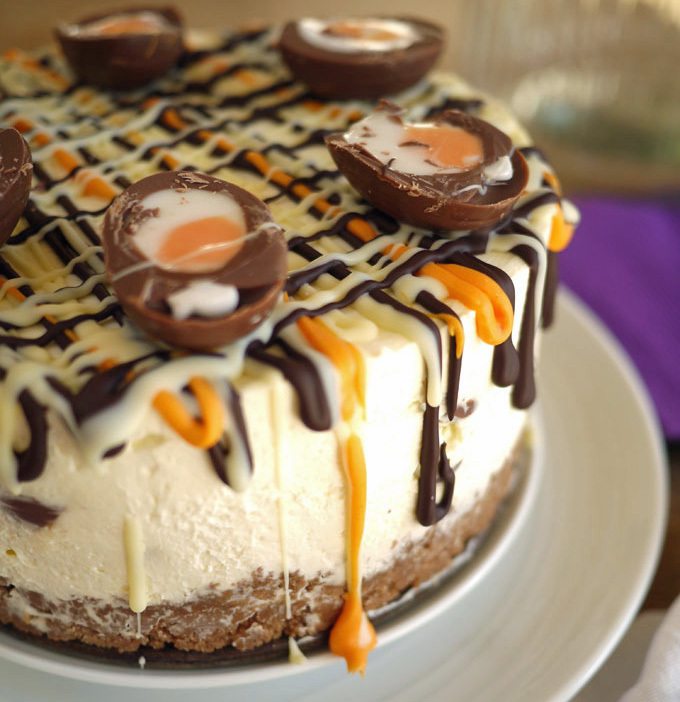 I never tried making this, as to me the recipe seems a bit above my experience level…LOL. 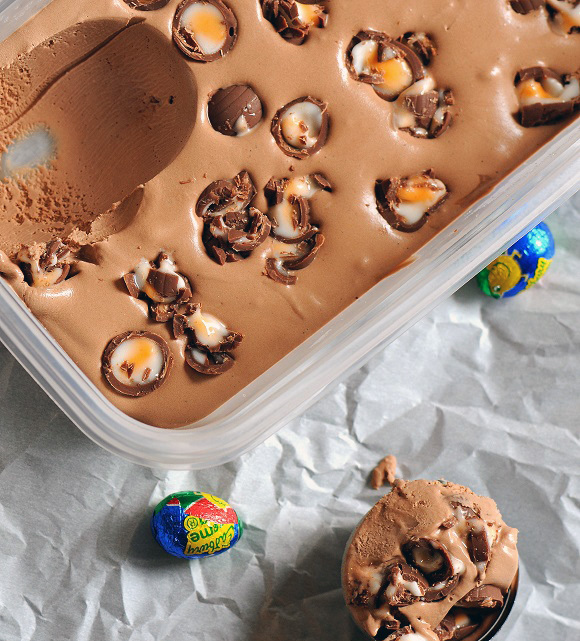 But if you are brave enough to try, make sure to eat it the same day, as the custard tends to harden once it’s refrigerated. Loukoumades Continuing with desserts, my husband loves these little bite-sized sweet honey puffs, essentially the Greek version of donut holes, which are deep fried to golden and crispy perfection. 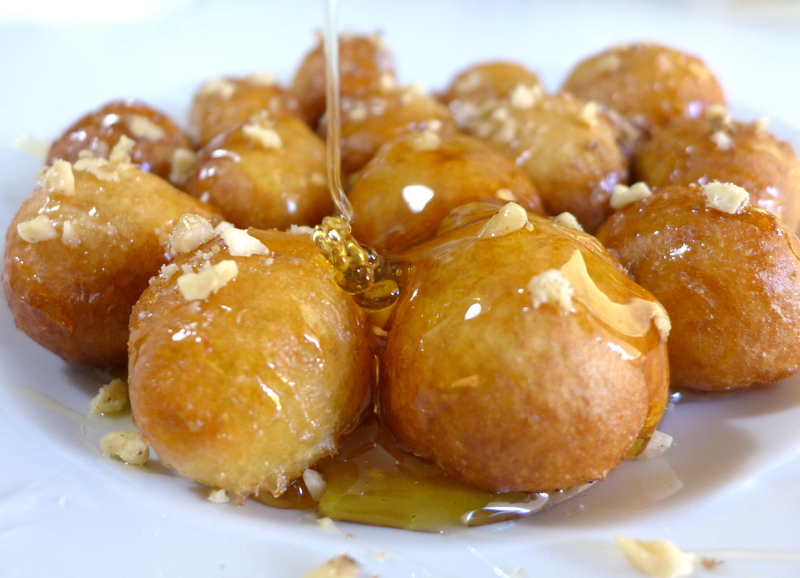 Loukoumades are traditionally served soaked in hot honey syrup, sprinkled with cinnamon and garnished with chopped walnuts or toasted sesame seeds. 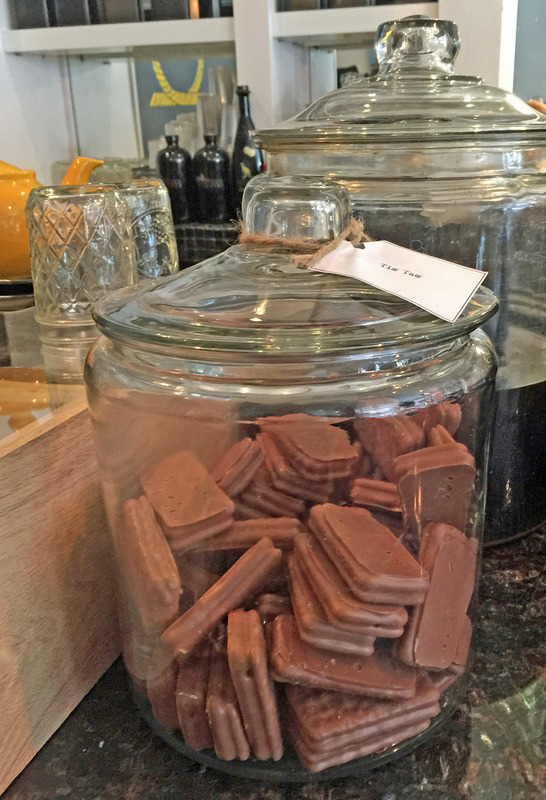 I’ve also seen them accompanied with a scoop of ice cream. 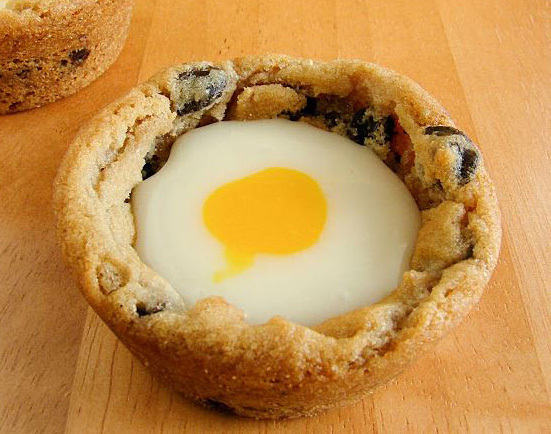 Either way, delicious! Halvas Yet another dessert (I promise I will get to the food soon). A semonlina, almond, cinnamon based dessert, which I ended up liking more than what I had anticipated. There are two different sweets called halvas in Greece. 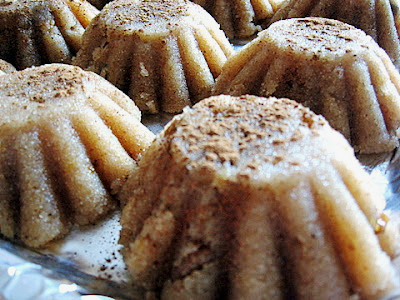 One is wet pudding made of semolina powder, olive oil and sugar. The other type is very similar to a nougat made of sugar and sesame powder, similar to Spanish turron. 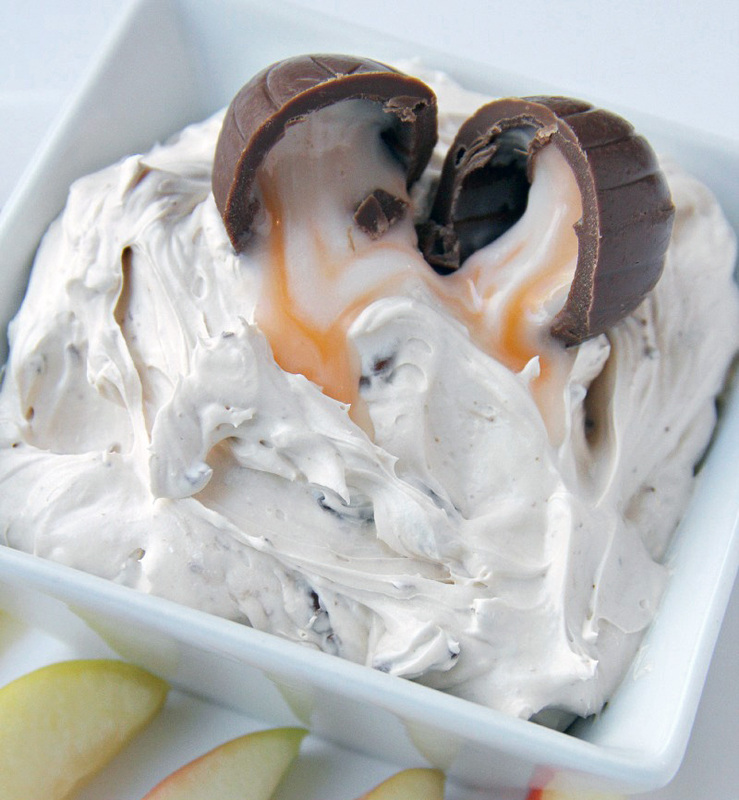 I was also served halvas ice cream one night…amazing! 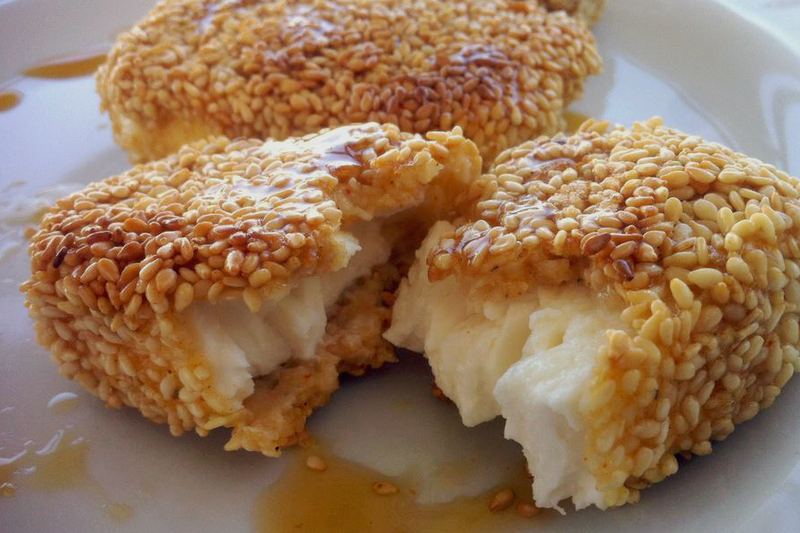 Fried Feta with Honey and Sesame Seeds Many of you that know me know of my love affair with cheese, ANY type of cheese! But I really love feta cheese and usually have loads of it when I’m in Greece. However, this fried feta covered in sesame seeds and honey is on another level. 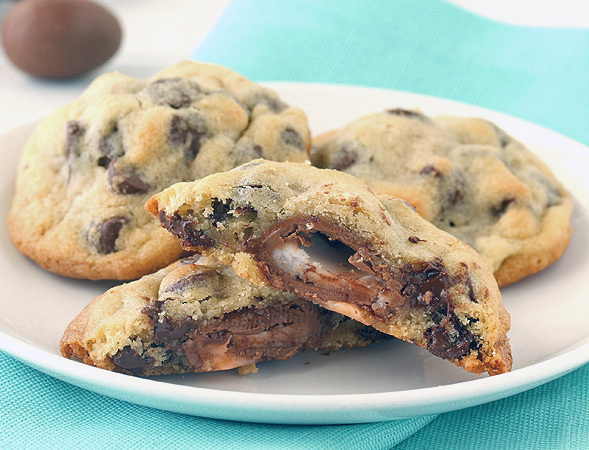 The sweet and salty combination of flavors is absolutely delicious! 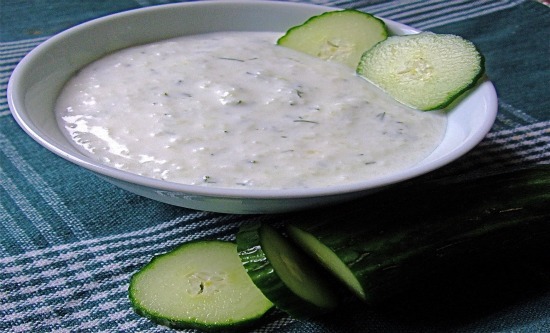 Tzatziki This yummy Greek sauce is always served with grilled meats or as a dip. Tzatziki is made of strained yogurt mixed with cucumbers, garlic, salt, olive oil, lemon juice, and dill, mint, or parsley… always served cold. Dolmadakia Typically served as an appetizer or side dish, dolmadakia is a favorite dish throughout Greece. 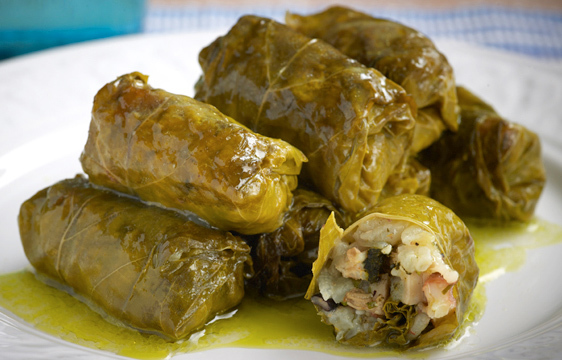 Grape leaves, stuffed with long-grain rice and herbs like thyme, dill, and fennel. 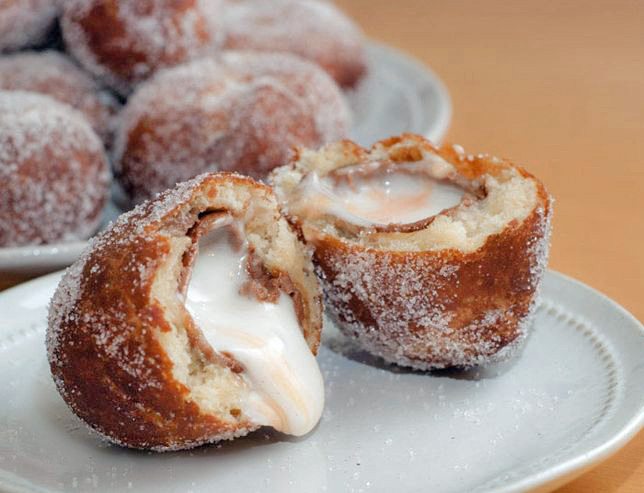 My husband loves these, definitely something to try! 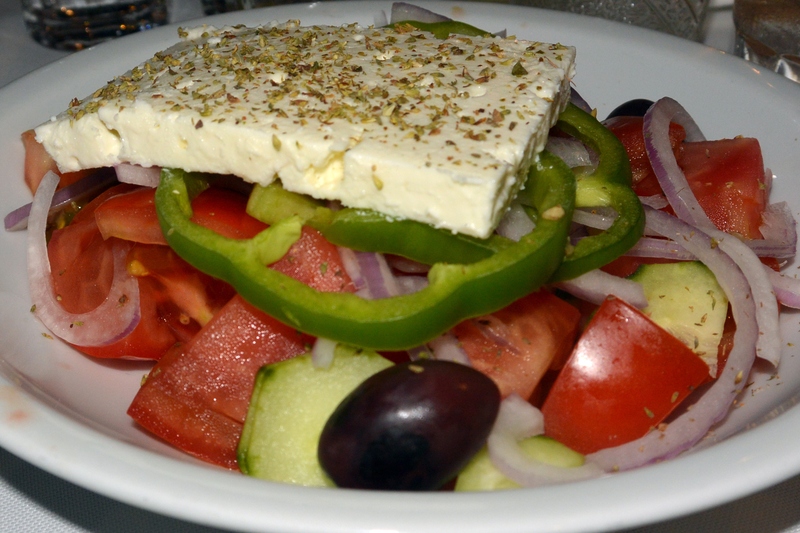 Greek Salad Famous all over the world, but the Greeks make them best! Crunchy cucumber, juicy ripe tomato, olives, red onion and a giant slab of feta on top, covered with olive oil, vinegar and lemon juice. It’s an absolute staple with every meal. Gyros Yes, these are the ones typically found in your local state fair or neighborhood festivals, but boy are they yummy! 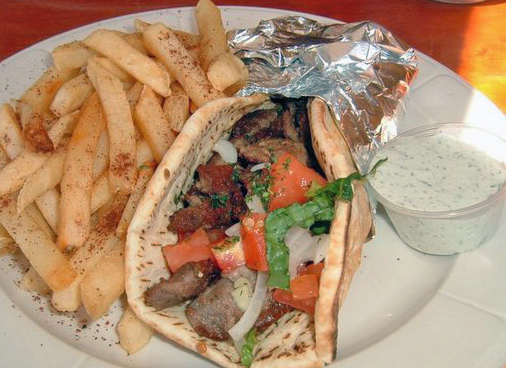 Pita bread, grilled meat, fresh salad, sauce (usually tzatziki), and many times they also include french fries inside. Depending on the restaurant, they may also be served as a platter with the pita bread on the side. Either way, I love them. 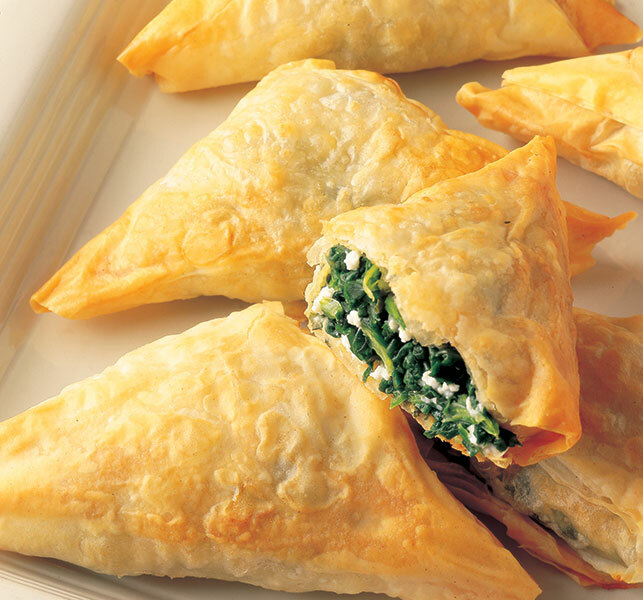 Spanakopita These are Greek pastries, filled with spinach and feta cheese folded in layers of phyllo dough. 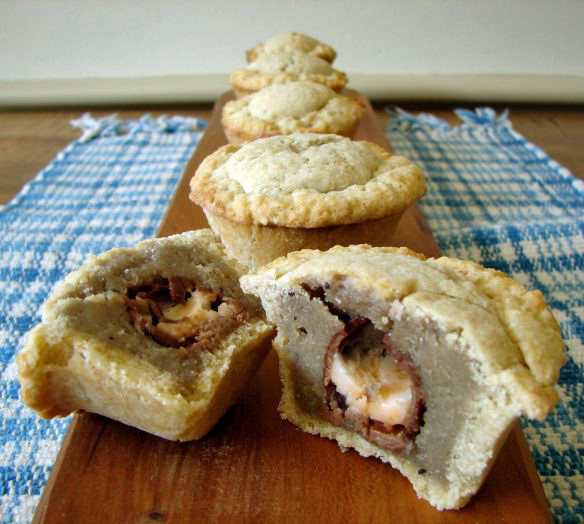 Most of the time, you will see them folded into triangles, but it can also be made as a pie or in a pita. Cheese pies of all types are very popular all over Greece. I usually eat these as an appetizer or a snack, but they can be enjoyed at any time of the day. 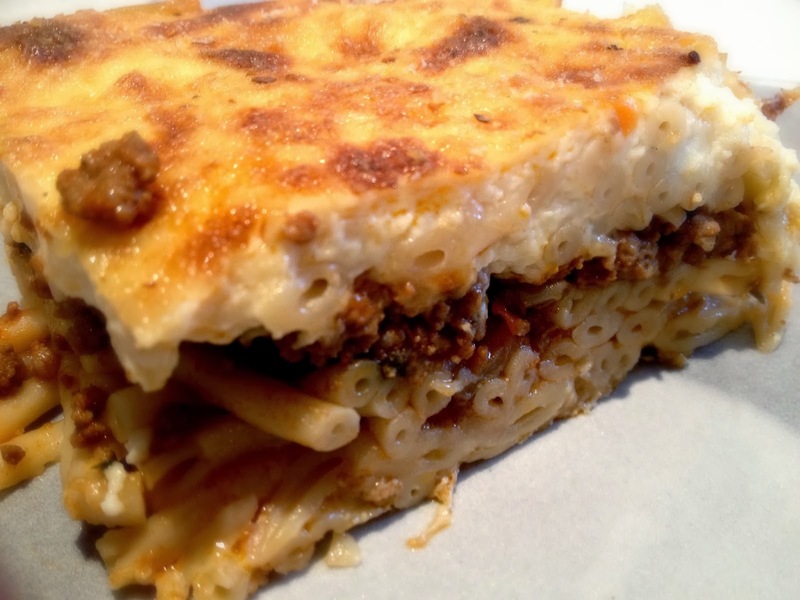 Pastitsio Also referred to as Greek Lasagna, Pastitsio, is made of luscious layers of juicy minced beef, cooked in a tomato based sauce, with pasta and creamy béchamel sauce, all baked together until golden perfection.. simply irresistible! This is one of my favorite dishes in Greece, I always make sure to have it at least once on every trip.